Ethiopian Airlines Boeing 737 MAX 8 crash investigation team has officially announced their initial findings into the possible reasons and circumstances of the deadly accident which took the lives of 157 people in March, 2019. Crew followed all procedures, but were unable to control the aircraft. Final reasons were not revealed as investigation is underway. Therefore, another wave of pressure is falling on Boeing. Ethiopian Airlines said that the crew “who were commanding FlightET 302/10 March have followed the Boeing recommended and FAA approved emergency procedures to handle the most difficult emergency situation created on the airplane”. The crew were trained and followed all the instructions, however, were still unable to prevent plane’s nose from repeatedly going down. Although direct blame is not attributed to Boeing, initial findings are raising tensions again. 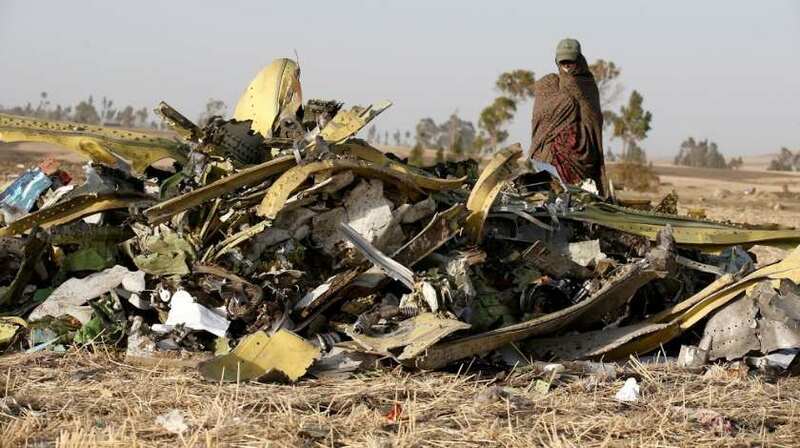 Ethiopia’s transport minister, Dagmawit Moges, did not refer to MAX anti-stall system, however highlighted that “the crew performed all the procedures repeatedly provided by the manufacturer but was not able to control the aircraft”. The Ministry of Foreign Affairs of Ethiopia in its post on the official Facebook page said that the transport minister “also related that based on the findings of the investigation, the report recommended that the manufacturer review the aircraft flight control system related to the flight controllability”. There was also issued recommendation to aviation authorities to “verify that the review of the aircraft control system related to flight controllability has been adequately addressed by the manufactures before release of the aircraft to operation”. Nevertheless, during the press conference it was reported by one of the investigators that any damage to the Boeing 737 MAX 8 aircraft performing the ET-302 flight sensors that could have contributed to the crash was identified. Although MCAS system is under suspicion. All the primary and contributing factors of the crash will be determined after the whole investigation process is over. This could take up to a year.